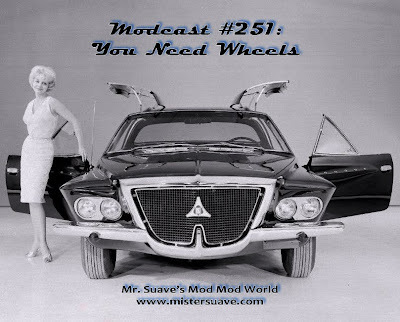 Gentlemen and ladies start your engines and get up to speed, this modcast will drive you wild. 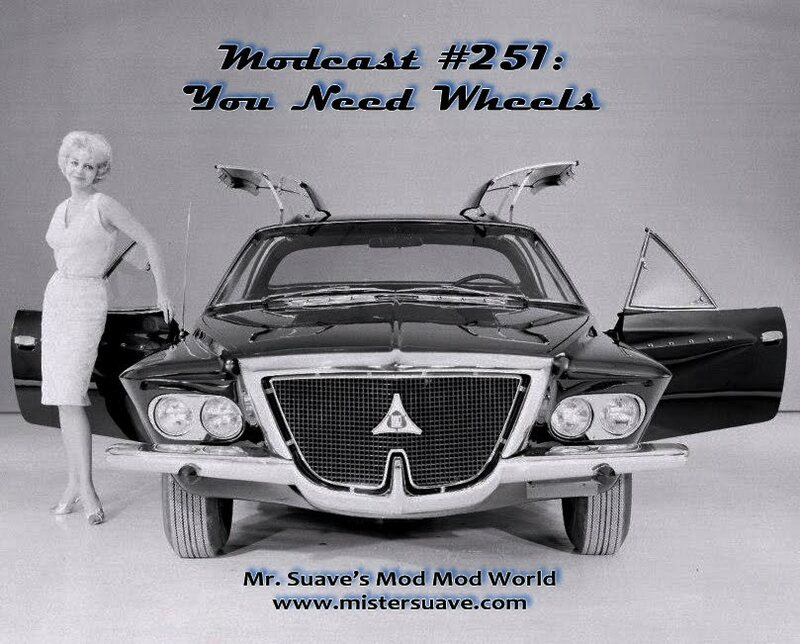 You need wheels, it's as true now as it ever has been. It's a liberating feeling having your own transpo, car, scooter, harley, whatever, it's good to have your own wheels. This whole show is dedicated to that fact with every song being somehow related to scooters or cars. Because as The Merton Parkas put it: a man ain't a man with a ticket in his hand. In a shaker mix gin, vermouth and bitters with ice, then strain into a super chilled cocktail glass. Add 2 cocktail onions for a little snack half-way through. I also have a drive by soundtracks saved in my used nissan car cause there are really good music that will keep you relaxed upon traveling, my favorite music are In my life by Beatles and Ventura Highway by America. Yes, I agree with you Grace, listening to good music while on the road keeps you calm and relaxed. After we customize and set up music equipment in my motorcycle, I will definitely include drive by soundtracks on it. Music is my pal during long drive hours. It soothes me and frees me from road rage. That is something that should be practiced by all the drivers today. Many unwanted road incidents arise when one lose patience. I barely know a single artist from this list! But I listened to their songs from the list and they pretty impressed me. Nice choice of songs, songs that I might whine about while alone in a trip. Just a bunch of good soundtracks will make you drive smoothly and calmly while hitting up the roads. Though sometimes it isn't advisable to drive while listening to music you can't hear and concentrate clearly on the roads.